Combine marinade ingredients in a large bowl and place the ribs in the marinade and refrigerate overnight or for at least 20 minutes. 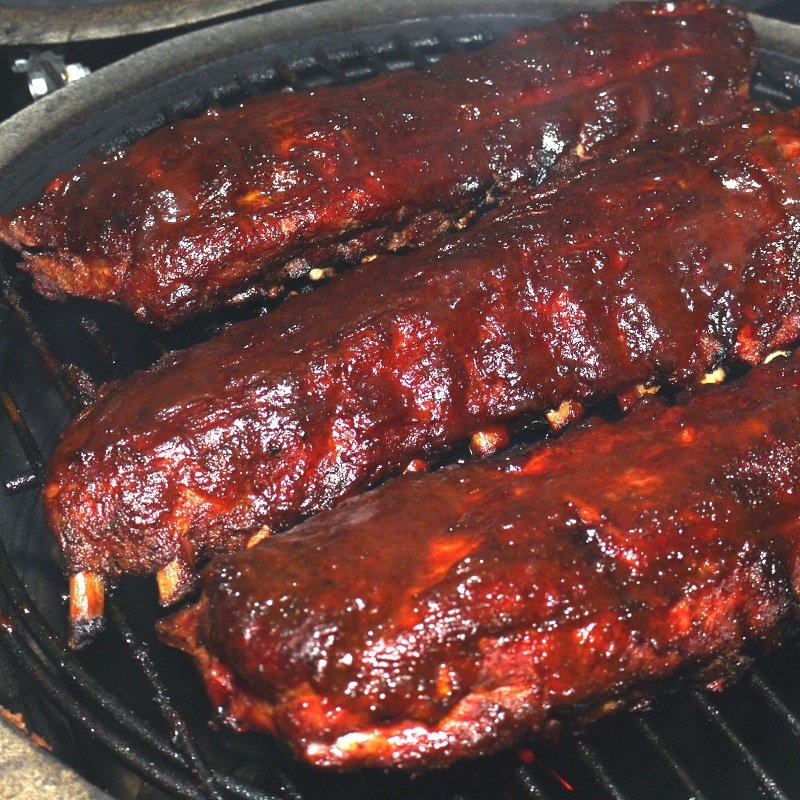 Remove the ribs from the bowl and place them on a roasting pan along with ¼ cup of water. Keep the bowl of marinade to the side. Cover the roasting pan with foil and bake for 1.5 hours until ribs are tender. Turn the oven up to 180 degrees Celsius and remove the foil. Cook for a further 30 minutes, basting every 10 minutes with the leftover marinade. For the potato salad, boil the cubed potatoes until soft. Mix potatoes well with the mayonnaise, red onion, bacon, basil and lemon juice. Brush the ribs one last time with pan juices and serve with potato salad, apple and corn cobs.